The Alaska pipeline construction was started. July 21, 1969... American astronaut Neil Armstrong stepped out of Apollo 11 onto the surface of the moon, fulfilling President John F. Kennedy's 1961 pledge to put a man on the moon by the end of the decade. Within minutes "Buzz" Aldrin joined Armstrong and the two pioneers planted an American flag on the surface of the moon. They also left a plaque that was inscribed with "We came in peace for all mankind." Grand total, the two spent more than 21 hours on the moon before returning to their orbiting command ship piloted by Colonel Michael Collins and returning to Earth. 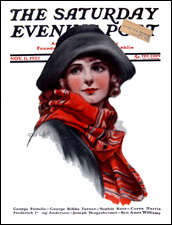 After a century and a half of publishing, the Saturday Evening Post called it quits in 1969.